At over 1,100 pages, the length and language of the Student Housing West (SHW) draft environmental impact report (EIR) may be daunting, but it also holds details of a project that could drastically change the UC Santa Cruz campus. The California Environmental Quality Act (CEQA) requires government entities, like the UC, to complete EIRs before approving projects with potential environmental impacts. However, there is no legislative oversight holding these agencies accountable in producing accurate and thorough reports. Instead, engaged members of the public take on this role when they address these issues during the public review period and later, in the court system. In the case of the SHW project, this governmental agency is the UC Board of Regents. The engaged members of the public should consist of those most impacted — UCSC students, faculty and staff. The SHW draft EIR, released by UCSC on March 27, includes the proposal to change the 2005 Long-Range Development Plan (LRDP) to allow for construction on the East Meadow. This and other important project details, tucked into the pages of this report, could drastically change the campus and its surrounding environment. Student Environmental Center member and second-year Chayla Fisher observed the university often releases documents and holds forums during finals, breaks and other inconvenient times for students. Many students, including Fisher, perceive this as the university intentionally leaving students out of the process. Below is a guide to break down what the EIR is, how to interpret it, who holds approval power for it and how to get involved in changing or challenging the report. For areas with potentially significant or significant impact, the draft EIR must also include mitigation options, or ways to reduce impact. In the SHW draft EIR, before mitigation, six areas show significant impact and 17 show potentially significant impacts. In the case of SHW, five of these areas have significant and unavoidable impacts after mitigation — adverse effect on a scenic vista, damage of scenic resources, degrading visual character or quality at the Hagar Drive site, water usage, utilities impact and noise. An EIR must consider alternate project options and their respective environmental impacts as well. The alternative projects for the SHW project and their impacts compared to the proposed project can be found in Table 2.0-3 in the executive summary of the report. Because of their lengths — many of which are over 1,000 pages — EIRs are often inaccessible. However, this doesn’t mean you can’t understand it and share concerns about particular areas. Written descriptions of each including the overall building dimensions, types, locations and purposes, among other details. Tables listing the level of impact for different environmental categories. The tables also include mitigation measures and post-mitigation significance levels. If a particular part of the table piques your interest, you can find more information in the respective section of the report. The Student Environmental Center on campus also plans to release more digestible documents with information about the draft EIR by the end of this week. Role: The regents are responsible for completing an EIR for the project and issuing the permit to build. They have full approval power for SHW. Impact Sciences is an Oakland-based environmental consultant firm the UC contracted to write the draft and final EIR. This division of UCSC is largely responsible for the planning process. 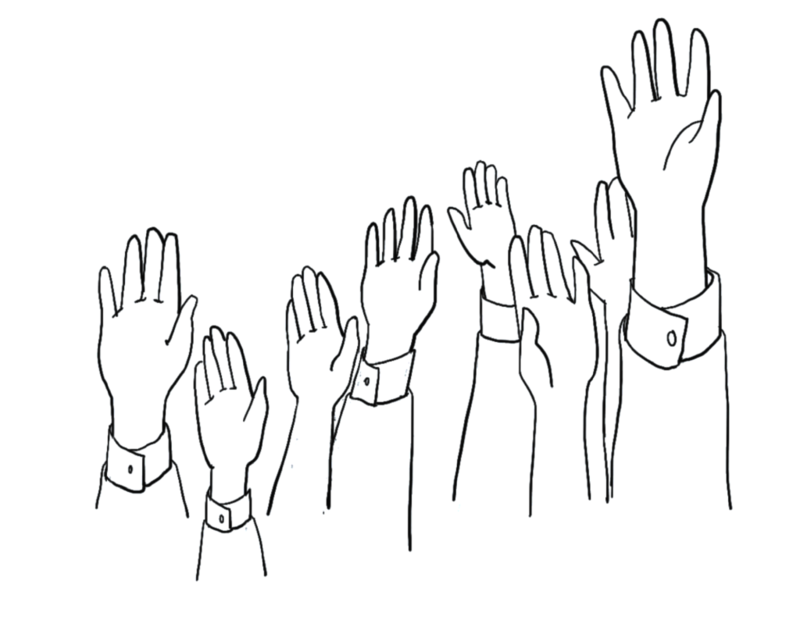 It is accepting public comments or questions at studenthousingwest@ucsc.edu These individuals will be most impacted by the project and have the ability to give input on the project through the public review period and, if necessary, through court action. 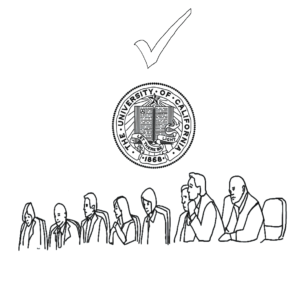 The government agency and consultant firm, in this case the UC regents and Impact Sciences, respectively, first create a draft environmental impact report. One way to get engaged with the EIR process is to participate in the public review and comment period. After the draft is released, a public review period lasting at least 30 days begins and during this time residents over 18 years old may submit comments that call attention vto areas of the EIR they believe to be inaccurate or insufficient. “The significance of [the review period] is […] it really does give power to ordinary people,” said environmental lawyer Gary Patton. If people make comments addressing potential deficiencies or errors in the report, the university is required by law to address all comments and reevaluate points of concern, Patton said. The review period is particularly important for those wishing to legally challenge the EIR, like environmental advocacy groups. Before taking an issue to court, one must “exhaust administrative remedies” and without submitting a comment it is highly likely the court would not consider this to be completed. Comments submitted should address particular portions of the EIR, rather than the entire report or project. The East Meadow Action Committee (EMAC), a group of UCSC faculty and alumni concerned with protecting the meadow, has particular concerns with the impacts on traffic, aesthetic, storm water and underground geology, among others. “The underground geology is a karst situation. This is, the meadow in general and this end of the East Meadow in particular, has a relatively high risk of voids in the rock underneath and they have done very little probing,” said EMAC member and UCSC alumnus Paul Schoellhamer. This means there are areas in the meadow without solid rock foundation and this kind of geology can lead to sinkholes. It is specific comments like these that could require the Board of Regents to reevaluate portions of the draft EIR when preparing the final EIR. Hypothetically, if EMAC submitted this comment and still felt it hadn’t been properly addressed, it could sue the university over the matter. The Student Environmental Center (SEC) also plans on submitting comments addressing certain aspects of the report it feels were not researched thoroughly enough. Concerns mentioned by SEC member Chayla Fisher include traffic, safety and use of the meadow, in addition to the overall lack of communication with students. “I think that it’s just absolutely absurd that they think they’re doing a good job,” Fisher said. After the government agency addresses all comments and creates a final EIR that is in compliance with the California Environmental Quality Act (CEQA), it can approve the project and issue any necessary permits. For SHW, it is the Board of Regents that is responsible for producing the final EIR, in conjunction with Impact Sciences. The regents also have the final say in determining their own EIR complies with CEQA and approving their own project. The only way their decision can be overridden is if it is challenged by a lawsuit. According to CEQA, if a final EIR still shows a project will have significant environmental impacts with no mitigation solutions, the permitting agency is not supposed to approve the project. However, if the agency can prove its overall mission or social or economic concerns should or do take precedence over the environmental impacts, it can submit a Statement of Overriding Considerations, to get approval for the proposed development anyway. Hypothetically, regardless of the number of significant impacts on the SHW EIR, the regents could choose to override the impacts and approve the project. This wouldn’t be the first time the UC did this — it used statements of Overriding Considerations in approving Long-Range Development Plans and other past projects throughout the UC system. There is no government committee responsible for enforcing CEQA in regards to EIRs. Instead, compliance is generally enforced by the courts and an engaged public. If after the public comment period, people still believe an EIR does not comply with CEQA, they can sue the government agency responsible for the project. To sue a government agency over an EIR, individuals must have already been engaged in the process through submitting public comments. Reasons for suing can include that a comment has not been adequately addressed or an impact has been underestimated or under-researched. Additionally, if the agency chooses to override significance, individuals can also sue the agency for that decision. It is possible the UC found the best possible housing solution for our campus, particularly when weighing the pressure from the local housing crisis and mandated enrollment increases. But it’s also possible that thorough consideration of the impacts has not been completed for all aspects of this project, whether because of time, financial or other restrictions. For example, East Meadow Action Committee member and UCSC alumnus Paul Schoellhamer expressed the group’s concerns with the speed at which the East Meadow portion of the project was proposed. Environmental lawyer Gary Patton reiterated that completeness and accuracy will only be enforced when affected community members take steps to do so.